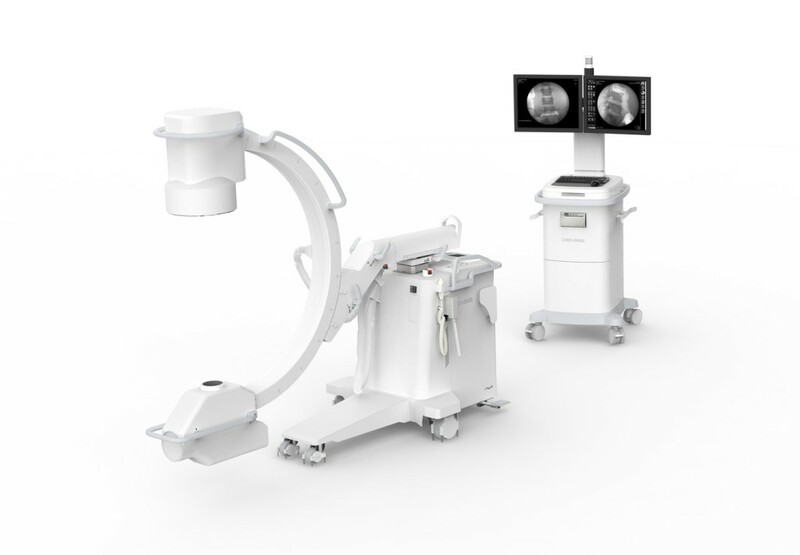 The Comed / GEMSS C-arm is a good value for new c-arms in the under $100,000 category. New 2018 model C-Arms are in stock and available now. Comed / GEMSS Spinel 3G C-Arm. Newest Model C-Arms for sale.This is an inexpensive full-size c-arm. New 2018 model C-arms are in stock and available immediately. The Comed / GEMSS C-arm is a good value for new c-arms in the under $100,000 category. Carries a 2-Year Manufacturer's Warranty. Ask us about additional Dealer's Warranties. New C-arms feature: Rotating Anode X-Ray Tube, Standard Monitor Cart with 1K x 1K resolution on two Flat-Panel LCD Monitors, DVD/CD ROM Drive, 10K+ Image Storage, USB, DICOM. 12kW, High Frequency Generator, Orbital 135°, SID 1000mm, ABS function, Touch LCD operation, Multi-foot switch, Pulse mode, Air Kerma display, DAP. Standard included options: DSA/Roadmapping and Virtual Collimation. Call or Email For More Details.